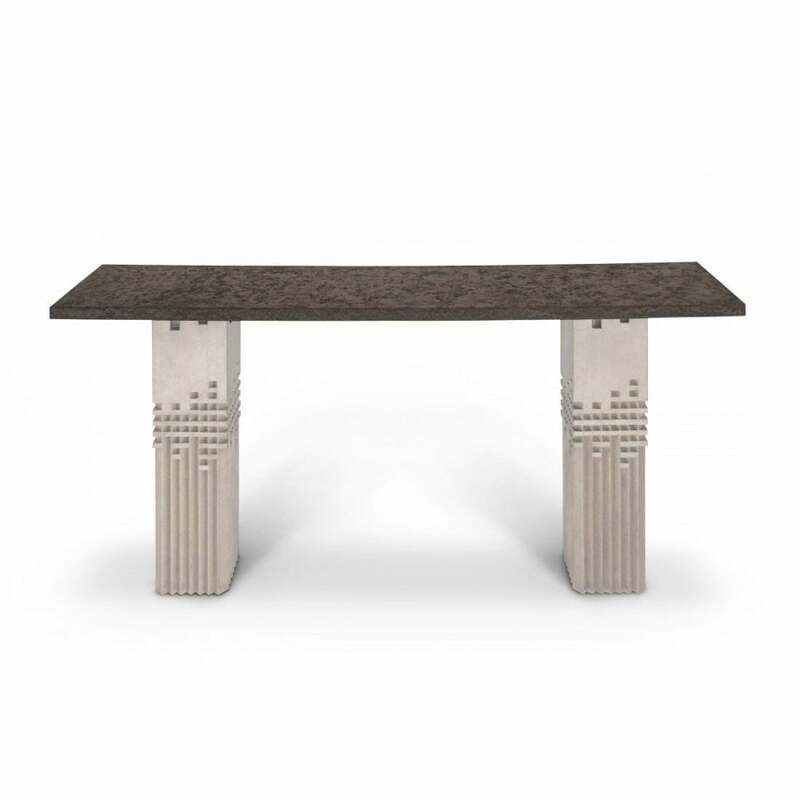 Make statement in a hallway or living space with the Megalith Console Table by Porta Romana. Inspired by Brutalist architecture, the Megalith Console Table has a highly expressive form that emphasises the use of exquisite materials. A statement piece of generous scale and proportion, the console table is sculpted from wood for a sleek and industrial look. The character of the console table changes with the decorative finish. Megalith is regal in Light French brass and faux marble or chic and modernist with a white concrete base and faux concrete top. Get in touch with our team to discuss custom options.